After missus and I fought our way through the droves of desperate dames at a wedding fair, we definitely needed a glass of the good stuff to calm the nerves. As we have never been to Chabivin, we decided that today will be a good day to visit the farm… and we’ll tell you we are very glad we did! 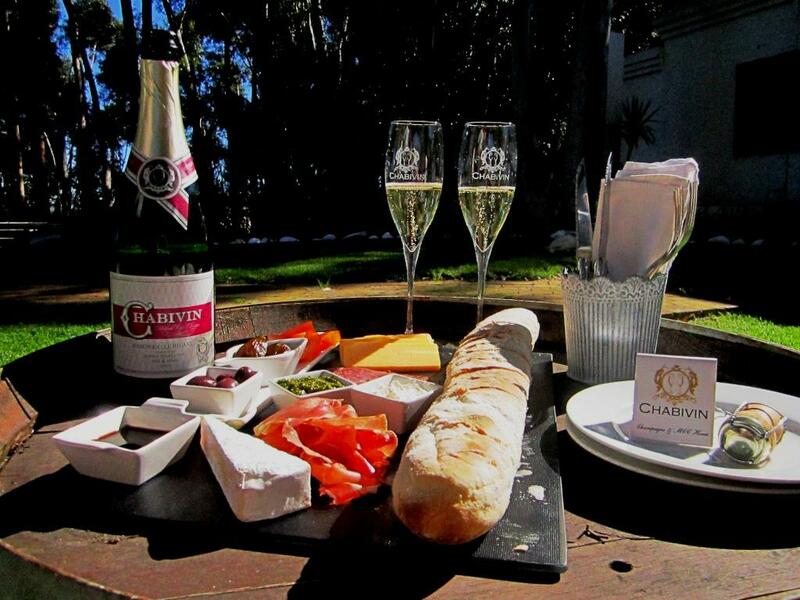 Chabivin is a small boutique MCC house that is situated on a farm on the Blaauwklippen Road just outside Stellenbosch. 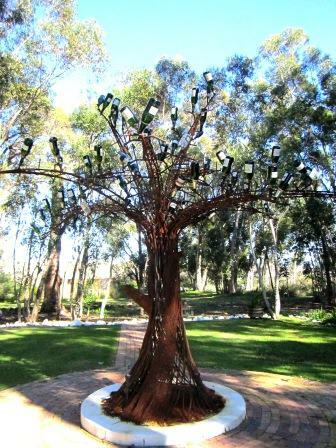 Director and wine maker Hendrik Snyman together with Jean-Pierre and Brigitte Charbaut from France, opened Chabivin’s doors to the public in 2010 with a tastefully decorated tasting room as well as beautiful, tranquil garden with large cushions spread out on the grass for you to lounge on like modern-day Dionysus. Originally wanted to taste a couple of Cap Classiques as well as the Champagnes that Chabivin imports but we’ve decided to skip the formalities and just enjoy a bottle of the Mademoiselle Mégane (a Blanc de Blanc that has been bottle fermented and matured for four years) as well as snack on a delicious combination platter that consisted of Brie, Gouda, Parma ham and Pastrami, with fig preserves, basil pesto, olives and cream cheese. Everything was just perfect! It was a beautiful day in Stellenbosch, the Mademoiselle Mégane had beautiful biscuit aromas with a refreshingly limy citrus character. The platter that we’ve order was a wonderful compliment with the sparkling wine. Chabivin has truly become one of my favourite sit-and-sip Cap Classique Houses.